Adjustable airflow control and pyrex tank with 5ml capacity! The Aspire Nautilus features the new bottom vertical coils from Aspire: BVC coils have improved longevity, and ensure better flavor and vapor. The Aspire Nautilus also has an airflow control system: by turning the airflow adjustment ring, you can alternate between four different airflow hole size options! The Aspire Nautilus is 510 threaded and will work on all 510 threaded devices and Mod's without the need for an adapter. It also comes with a matching eGo Cone cover for eGo batteries. The Aspire Nautilus 5ml tank is a fantastic match for the Eleaf iStick 30W mod, for a compact and long-lasting set-up. Read about why the Aspire Nautilus and Eleaf iStick 30W are a great pairing here. 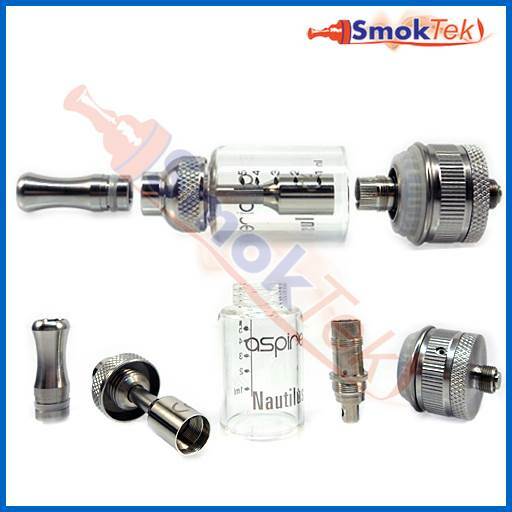 Spare replacement tubes for the Aspire Nautilus are available separately in pyrex glass and stainless steel. Then fill with 5ml E-Juice, dripping juice down the inside wall against the outer wall of the tank. Using a needle tip bottle makes the task effortless! 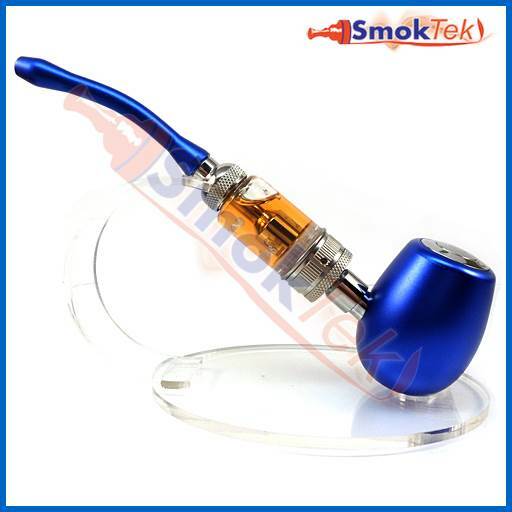 Do not put e-liquid into the center tube as it will leak out the mouthpiece of clearomizer. If using a new coil, please set the Nautilus aside for a few minutes so that e-liquid can fully saturate the coil. I've tried several different tanks, and this is by far, the very best on the market at the time. Great air flow control, stays put, easy to adjust. The Nautilus brings a much cleaner, smoother, more flavorful vape than anything I've come across so far. Highly recommended! This thing is a beast. It really puts out the vapor and the taste is great. Throw out your power chart though for this it works better with more power. The 1.8 ohm head works best for me at about 4.7v. It says on the head 3v-6v so you be the judge. Really love my new nautilus. Works fantastic and delivery on products was very fast. Couldn't ask for any better!! I used this on my ZMAX until it crapped out, great tank at 3.7 volts with 1.6 ohm coils worked fine for me. Planning to use it on my Smok AL-85, maybe pick up the 1.8 ohm coils rather than the 1.6 ohm coils I've been using. Great throat hit, love the adjustable airflow and it comes with a spare tube, which is great because I dropped it and broke the first one. My new setup will do sub-ohm but I don't really see any reason not to keep using this tank. It saves juice and lasts me all day, unlike the tank that came with my AL-85, which burns through juice like a drag racer at the track. Wife and I both have this tank. It's incredible! Throw away those old setups. This tank is no muss, no fuss. No leaks. Atomizers last at least 10 days, usually more. Great hits & flavor. We're extremely happy with this buy! I love this tank!! Great hits,solid construction,love the glass bowl.High quality! Like the design too.Can actually fill it to the top and works great! fresh out of the box..
...loving the first hits! if it holds up will call it a "winner!" Q: Do you sell replacement parts for the Aspire Nautilus mini ?? 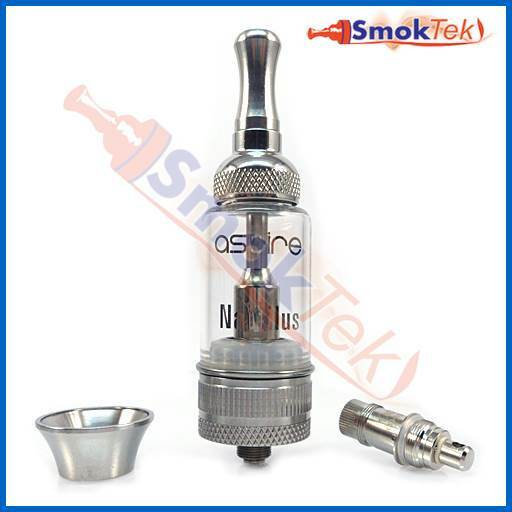 We have an excellent selection of replacement parts for the Aspire Nautilus Mini! Here are some links. Q: what would be a good aspire battery to match with this. also the coils and other needed equipment? I'm glad to help here! We don't carry an Aspire battery; however, the Eleaf iStick 50W looks and works great with the Aspire Nautilus 5ml. Below, I'm posting the link to the Eleaf iStick 50W and to the replacement coil heads for the Aspire Nautilus. I'm glad to help here! 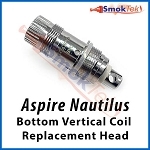 We are not out of stock on the Aspire Nautilus, 5ml Bottom Vertical Coil, Pyrex (with airflow control). Are you receiving an error message when you attempt to add it to your cart? We'd be glad to help place this as a phone order if it helps, Joe. Q: If I purchase this do I get the blue entire pipe? Thank you for reaching out to us! The pipe pictured does not come with the Aspire Nautilus; however, I am posting a link to the Kamry K1000 E-Pipe below.